What's New in Apple's iOS 7? 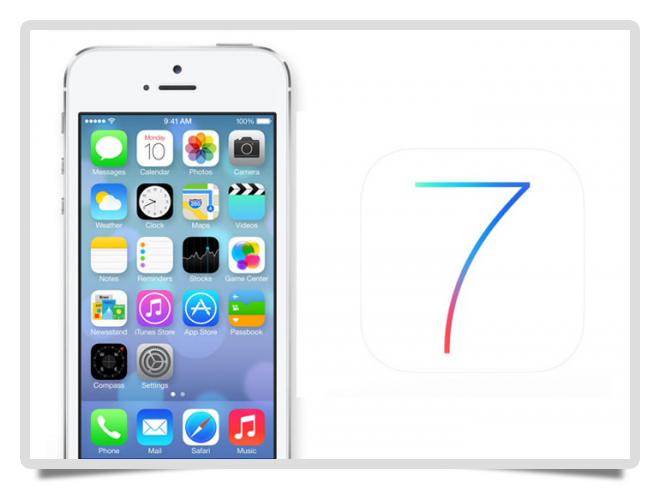 Broadband News » Features » What’s New in Apple’s iOS 7? What’s New in Apple’s iOS 7? Apple’s iOS 7 is the latest version of their mobile operating system, slated to arrive for the iPhone, iPad, and iPod Touch later in the Fall of 2013. It is the most revolutionary iOS update yet from Apple, and owners of older mobile devices from Cupertino, CA, need not apply. iOS 7 is only compatible with the iPhone 4 and later models, iPad 2 and later models (including the iPad Mini), as well as the fifth generation of the iPod Touch. While the graphical enhancements to the user interface are the most obvious changes from Apple, there are other new features sure to intrigue mobile users. Apple’s new mobile operating system features a flat user interface (UI) design with a smoother typography and a subtle, translucent rendering of app icons and other visual elements. Gone are the green felt from Game Center, the fake leather from the Calendar, and the wood elements in Newsstand. While it doesn’t have the real-time active UI of a Windows Phone, it is definitely a sharper and cleaner user interface. Apple added a new Control Center that serves as an easily accessed one-stop shop for commonly used apps and settings, such as the calculator, iTunes playback controls, screen brightness, and others. A simple finger swipe from the bottom of the screen brings up the dialog box. Android users have enjoyed similar functionality for a few versions. The Notification Center in iOS 7 gets a usability upgrade, with a convenient “Today” view providing current weather information along with a list of recently received messages and emails. Like the original version, the new Notification Center is accessed by swiping down from the top of the screen. Other new features of Apple’s latest mobile operating system include easier multitasking that shows a preview of each app screen instead of only the app icon. Your mobile device also attempts to perform app and system updates automatically when connected to a WiFi network to save battery power when compared to performing those updates while on a 3G connection. A new Air Drop feature serves as a convenient way to share files between iOS devices on the same WiFi or Bluetooth network. The Photos and Camera apps also received UI and functionality updates. The Safari mobile web browser is significantly enhanced with improved ways to manage multiple open web pages. All told, iOS 7 is a significant upgrade from Apple, and all owners of compatible devices should consider installing it when it becomes available in Fall 2013.